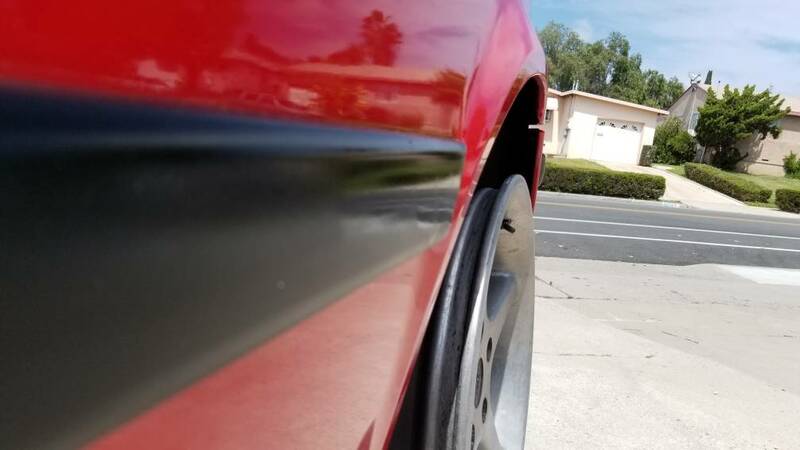 So a few years ago I snagged a set of Racing Dynamics RGR 17" wheels for dirt cheap, but...I am not sure if they will fit. 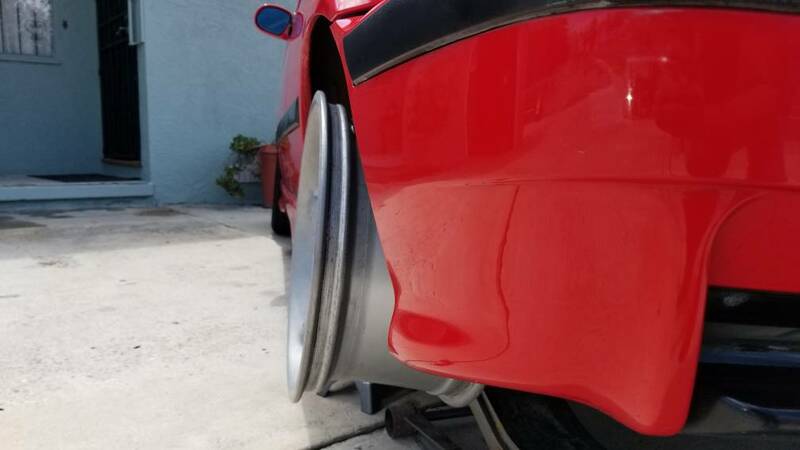 Fronts are 17x8 ET38, rear 17x9 ET46. 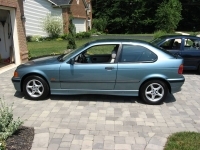 Their build date of 1993 predates the 318ti production, so likely they were meant for the E31 coupe, E32 sedan, E34 sedan or maybe the E36 Coupe. I have attached some photos of the rear wheel only mounted. It doesn't touch the shock or perch, but it is very close to the latter. I feel reasonably confident the front will clear fine, but I am not sure about the rear. If I have to sell them it won't hurt my feelings, as I'll go back to my 16x8 BBS RK's. 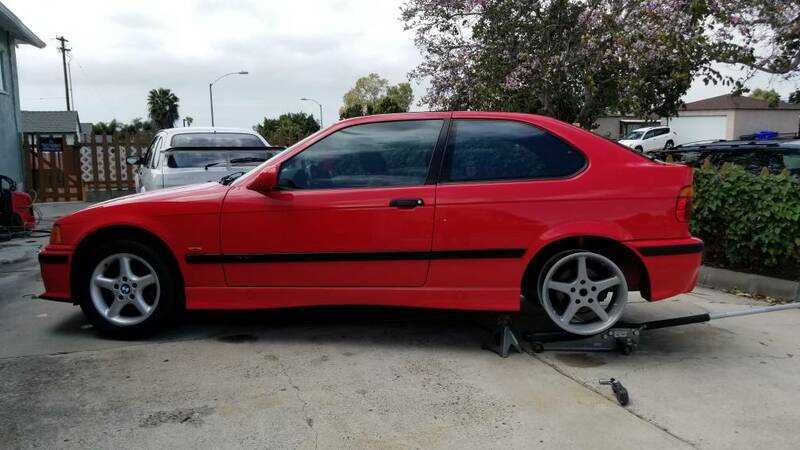 The rears seem like the right size for an E36 and it's easy to fix the wheel being too close to the perch, small spacer, harder to fix if it's too close to the fender. 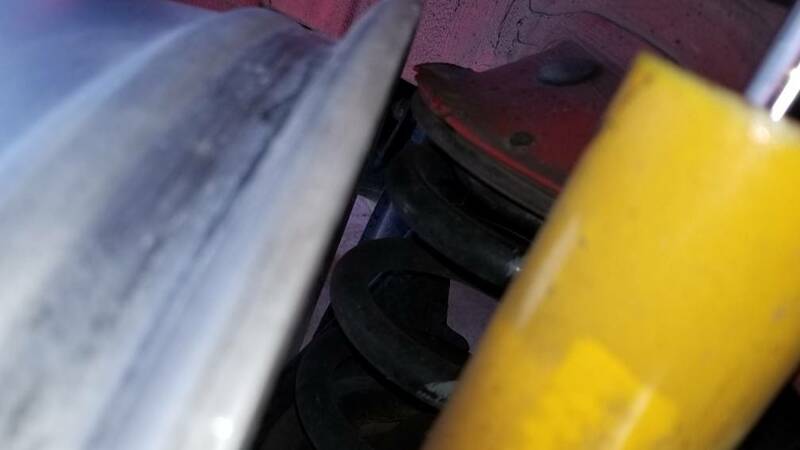 But I've run front wheels that had, maybe, 3mm gap to the coilover perch and it never made contact during autox/track. What size tires do you want to run? 225 in front and 255 out back? I'd be more worried that you may need to roll the fender lip than the wheel contacting anything inboard. Tires I am 99% sure I will run 225/45 17 up front and 245/40/17 in the rear. Rear tire width should be near 9.3", which would work great. A friend was suggesting a small trimming of that edge of the perch. But I wonder if you or anyone have experience with this. I just plugged the 17x9 ET46 into an offset calculator against the 17x8.5 ET40 wheels that I run and it moves inboard 12mm but leaves the same clearance on the outboard side. 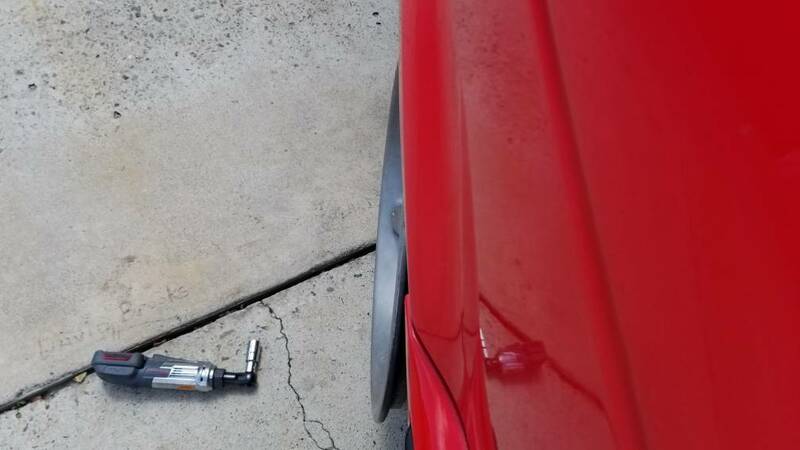 That gives me a lot more confidence that this is an E36 wheel based on your picture of the clearance. It's tight but it fits in the wheel well nicely. I run 245/40 in the rear and have no issues on the outboard side, didn't have to do anything to the fender to fit that. On the inboard side, I think you could definitely file down the edge of that perch. Just hit it with some undercoating or something to seal it up. If you just take a mm or two off where it is closest it won't hurt anything. Yeah, that looks just about perfect to me. 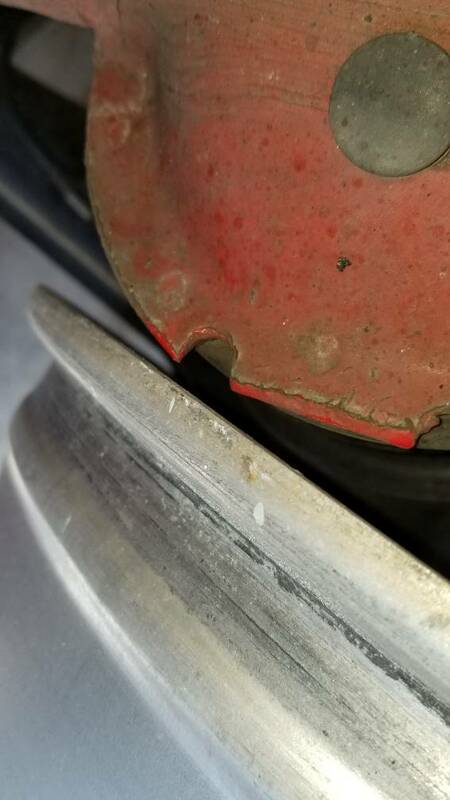 I wouldn’t mess with filing anything down imo, your wheel shouldn’t come close to hitting that in it actually being on the ground. I always liked those wheels, enjoy! !